Janashakthi Insurance PLC (Janashakthi) reported a consolidated Gross Written Premium (GWP) of Rs.10.664 billion for the year ended 31st December 2015, a growth of approximately 19% over the same period in 2014. The insurer posted a Profit Before Tax (PBT) of Rs.1,024 million for the period under review. The Company’s life insurance business recorded a Gross Written Premium of Rs.2.550 billion. This Year on Year (YoY) growth of close to 18% was a result of changes made to the life sale and distribution structure and the basis for commission payments during FY2014. The non-life business achieved a Gross Written Premium of Rs.8.113 billion, a YoY increase of over 19%. Propelled largely by the growth witnessed in its motor insurance business, this further validates Janashakthi’s position as the insurer of choice amongst motorists. Honouring its commitment to policyholders, Janashakthi disbursed in excess of Rs.5 billion as claims through the year. The Company’s balance sheet grew by almost 52% in FY2015 to Rs.31.694 billion, with investments of Rs.22.346 billion accounting for 71% of assets. A reflection of its strong fundamentals and commitment to stakeholders, Janashakthi’s Life Fund grew by about 20% to Rs.8.782 billion during this period. 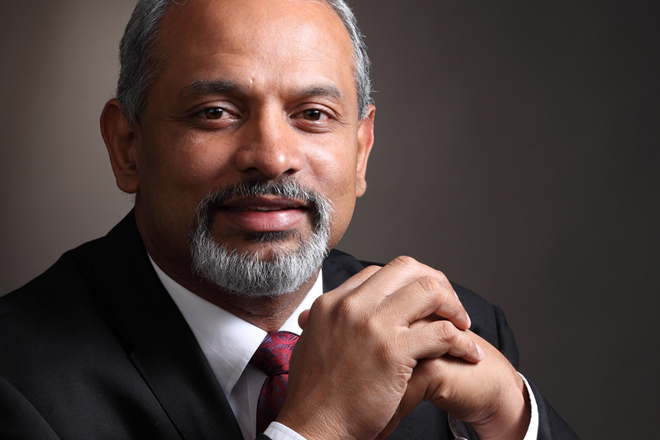 In a bid to strengthen its position in the General Insurance segment, Janashakthi acquired a 100% stake in AIA General Insurance Lanka Limited in October 2015. Having closed the financial aspects of the Rs.3.2 billion acquisition on 23rd October 2015, Janashakthi completed its amalgamation with Janashakthi General Insurance Limited on 29th January, 2016. “2015 has indeed been a momentous year for us at Janashakthi. Both life and non-life businesses posted outstanding top line growth while honouring our commitment to policyholders. The year also saw us further consolidate our position in the General Insurance segment with the acquisition of AIA General Insurance Lanka Limited. With the amalgamation now complete, we are working on unveiling a host innovative insurance solutions. With the promise of exciting times ahead, we look forward to delivering greater value to all stakeholders as we advance towards market leadership,” said Mr. Prakash Schaffter, Managing Director, Janashakthi Insurance PLC. Janashakthi had also assigned the leasehold rights of its land on Staple Street, Colombo 2 to Sanken Construction Ltd., for Rs.1.93 billion. Having received a 50% advance of Rs.965 million on 23rd December, 2015, the transaction, which is expected to be completed by 25th March, 2016, it will generate Rs.940 million in profits for the Company. The Board of Directors of Janashakthi Insurance PLC comprises Mr. W. T. Ellawala, Non–Executive Chairman; Mr. Husein Esufally, Non–Executive Deputy Chairman; Mr. Prakash Schaffter, Managing Director; Mr. Jude Fernando, Executive Director/Chief Executive Officer; Mr. L. C. R. de C. Wijetunge, Non-Executive Independent Director; Mrs. Manjula Mathews, Non-Executive Director; Mr. Ramesh Schaffter, Non–Executive Director; Mr. Eardley Perera, Non-Executive Independent Director; and Ms. Anushya Coomaraswamy, Non-Executive Independent Director.